A four-day week can improve student and teacher morale while saving schools money. As they deal with economic hardships and face budget cuts, many schools are turning to a four-day school week as a solution to their problems. A four-day week would eliminate either Friday or Monday from the existing schedule, instead adding 75 to 90 minutes on to the remaining days. Switching to a four-day school week could give children more time for homework and family responsibilities and has the potential to lead to a higher-quality education and learning environment. One advantage of a four-day school week is that it gives students an extra day to complete homework, projects and other assignments. Some critics say the system could result in a loss of focus and information retention. 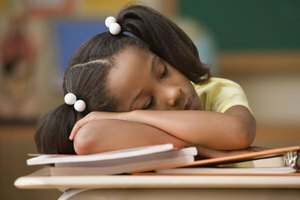 But a Georgia State University study found that four-day weeks did not negatively affect school performance. Perhaps with more time available outside of class, students would be free to do more independent study and homework or to get private or group tutoring. 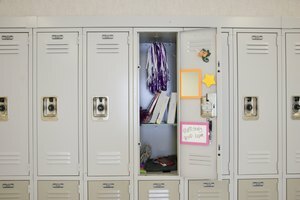 During a five-day week, many children go straight from school to sports or extracurricular activities, as well as family responsibilities and appointments. A four-day school week allows students an extra day to either catch up on work missed because of these commitments or to participate in them. For example, sports practices could be moved to the day off, dentist and doctor appointments could be scheduled without having to miss class time and extra travel time could be allotted for family events, all without requiring children to miss class. While some teachers may experience initial challenges with the new schedule, they will ultimately be able to give higher-quality instruction and create a more positive learning environment for children. 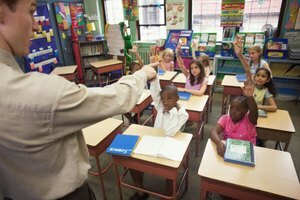 A study by Tulane University showed that under a four-day week, teachers were absent less often, and faculty turnover was significantly reduced. The apparent teacher satisfaction with the shortened schedule also contributes to stronger work ethic in the classroom. Longer schooldays also result in more efficient, productive classes, with extra class time leading to fewer interruptions in instruction times. The positive effect of the new schedule on teachers ultimately transfers over to children. Although many critics are concerned that longer school days would negatively affect children's attention spans, Tulane's study revealed that they were actually better behaved and more attentive, and they exhibited better attitudes under the new system. 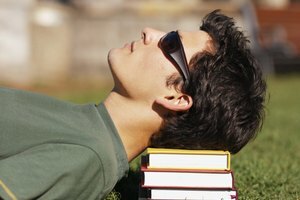 A University of Scranton study found that in Peach County, Georgia, there was a correlation between the shortened week and a 40 percent drop in disciplinary action. Many schools have also reported higher test scores and GPAs as a result of the switch. Morgan, Kori. "Why Children Should Have a 4-Day School Week." Synonym, https://classroom.synonym.com/children-should-4day-school-week-14712.html. 26 September 2017.